This beautiful LuxCamp resort is nestled in the mountains of the Verdon Gorge, which is sometimes called the Grand Canyon of France. With the Cote D'Azur to the south and stunning scenery all around, the site offers a retreat away from busy day-to-day life. Take part in adventurous activities or just laze by the pool; whichever you choose, your luxury camping holiday will be unforgettable. This picturesque luxury camping site is surrounded by tall trees and fresh mountain air. 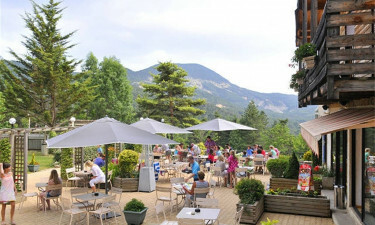 The views from the restaurant have to be seen to be believed, and the friendly English-speaking staff will help you enjoy your luxury camping experience from your cosy mobile home. 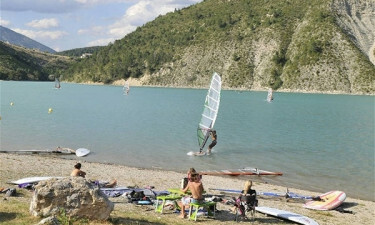 Why choose Camping Les Collines de Castellane? 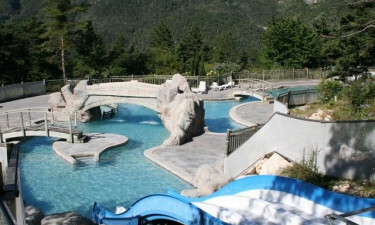 This site has so much to offer both families, groups and couples; it may be peaceful, but still comes with all mod cons. Daredevils will love to explore the wooden obstacle course hidden within the campsite's leafy trees. Safely navigate the bridges and ropes, with fun for all the family. The campsite was once a hotbed for fossils and minerals; today, the staff organise fossil hunting trips for budding palaeontologists. Kids even get to keep the fossils they find!